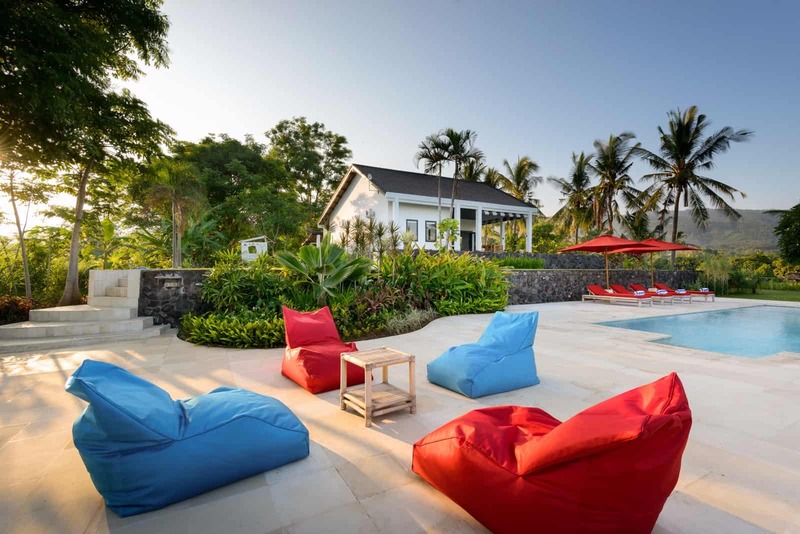 Villa Bloom Bali didn’t start as a rental villa right from the start. 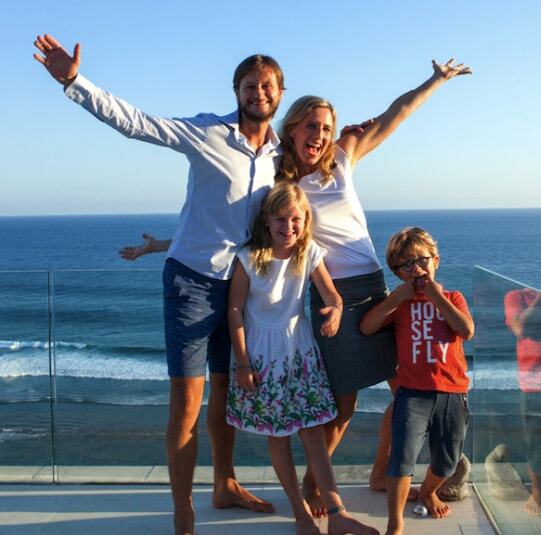 It started with the story of us, Tom, Inge, and our children Isis and Thijs. We like to share it with you here. We left the Netherlands in 2011 to spend one year abroad with our three year old daughter, and our one year old son. Our first destination was Bali… Little did we know that this magical island would become our new home base for our dream of a nomadic existence. Back in the Netherlands we had a picture perfect life. But inside ourselves we heard a voice that was looking for new adventures and new horizons. We wanted to travel with the children and spend more time together as a family. We had always been travellers. During our first date, the main thing we spoke about were our travel experiences. The many countries we had visited and the places we dreamt of going. After only a few months of being together we went on a one month holiday to Mexico and Guatemala. That trip marked the beginning of many of our travel adventures, including Indonesia (Java and Bali) in 2003. There really is a thousand reasons we could use as an excuse to not follow our dreams… But we didn’t let those excuses stop us. 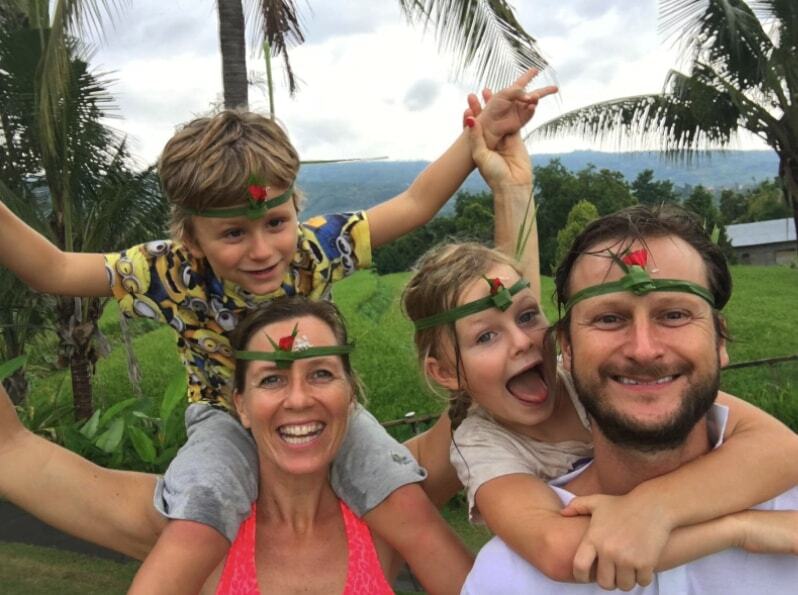 In 2011 we boarded a plane to Bali for a year of family time with our three year old daughter Isis and one year old son Thijs, who couldn’t walk or talk. We rented a full service villa for six months in the North of Bali and also lived in Ubud for six months. Our lifestyle had completely changed from our life back in the Netherlands. Everyday we were going to the beach, spending quality time together as a family, doing yoga, and enjoying the nature and local life surrounding us. After experiencing this for a few months we had a strong desire to make this our new lifestyle and live on Bali. We dreamt of building our own house in Bali. And then….we jumped. We found the plot of land, and were immediately attracted by the wide sea views in the front and the mountain backdrop at the side and the back, the birds and butterflies, and we started visualizing how our family villa could look like here. We followed through and built our house, Villa Bloom, in accordance with the things that are important to us; being close to the water for paddle boarding and walking on the beach, yoga under the morning sun, organic food, family friendly, and a nice indoor/outdoor flow to feel a part of nature. Light and modern, with a big BBQ place in the garden to have a great time with friends. To be together as a family, with no commute to work. To experience freedom and flexibility. We choose the name Villa Bloom already before the building process as we saw ourselves ‘bloom’ there. After the building and landscaping process we lived in the villa for 3 years. It was a great family time and time for personal development, deepening the yoga practice, in a superb setting. We were surrounded by wonderful staff at the villa. Penny, the villa manager and cook, was with us already from day one. We asked, make us some lunch, and she blew as away with the her creation. She happened to have more than 15 years of experience as a cook already when she started. Inge and Penny deep dived into health food, it was a great journey together. The other staff members came to the team naturally, as they resonated with the harmony and values of Villa Bloom. Putu, Penny’s husband, became handyman around the house right from the start. Later he became also the pool man and gardener, as he wanted to work and be more time at the villa. 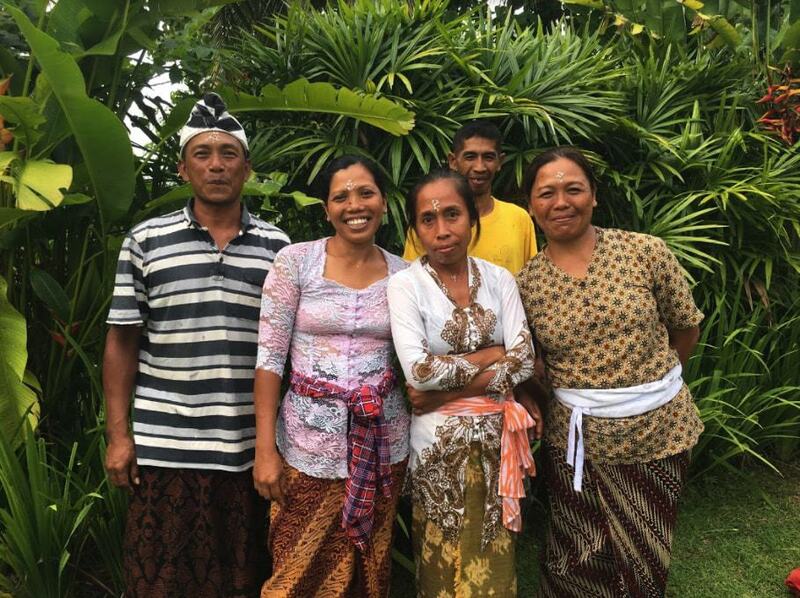 Iluh and Ketut, the other 2 ladies in the team, became the villa attendants and parttime gardeners. And then there is Edy who joined the team, the security guard at night. As family and many friends visited us in Bali, countless memories were made and the concept of hospitality started to get ingrained in the wonderful Villa Bloom staff. Those visitors loved the stay at the villa as highlight of their holidays and the homey atmosphere. After 3 years we moved to the Southern part of Bali, mainly for the children’s education. It was hard to leave, mainly for Isis and Thijs, as the majority of their memories were made at the villa. We decided to make the villa available for rent to pass the Villa Bloom experience and energy on to other people, that are interested to stay in a private and secluded mini resort, enjoying BBQ’s and health food, yoga, spiritual and cultural activities, nature surroundings in a luxury place in this enchanting part of Bali. Isis and Thijs left many toys at the villa, as to ensure that children from all over the world could have a great time the villa. 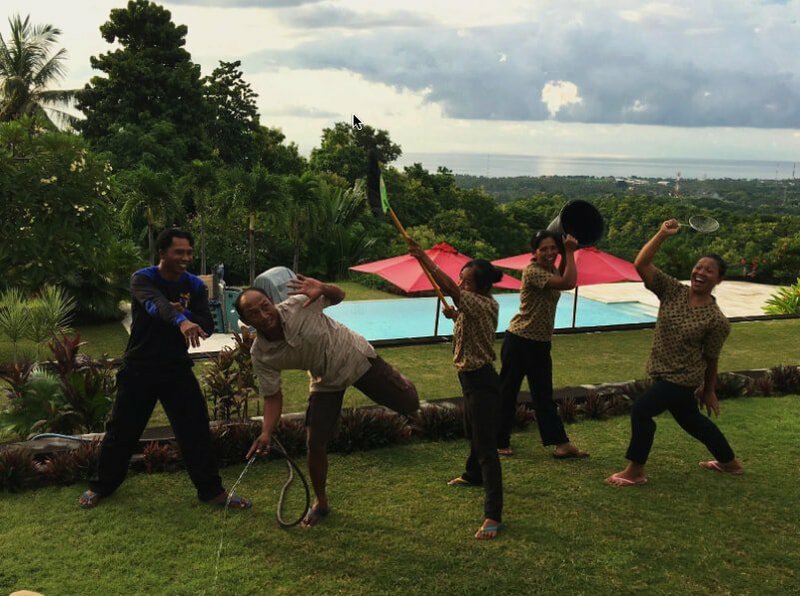 It is a true pleasure to mention that the team at the villa has fun together and fun with the guests. Children normally don’t want to leave, or they want to take Penny and the other ladies home. This is the story of Villa Bloom Bali and how it got heart and soul.